The State of Texas has given the Texas Parks and Wildlife Department (TPWD) the responsibility for the management and conservation of the state’s wildlife and fish resources; provision of outdoor recreational opportunities to the public; acquisition, development, and operation of wildlife management areas, fish hatcheries, state parks, historic sites, and other public lands; conservation education and outreach; cultural and historical interpretation; and the regulation of fishing, hunting, and boating activities. The department is composed of ten major divisions which carry out the functions and duties of the agency: Wildlife, State Parks, Coastal Fisheries, Inland Fisheries, Communications, Law Enforcement, Infrastructure, Administrative Resources, Legal, Information Technology, and Human Resources. The Parks and Wildlife Commission selects an executive director to administer the department. In 2014 the agency employed the full-time equivalent of 3,109 people. The Parks Division protects, interprets, and manages cultural and natural resources and provides recreational opportunities to the public on land owned or leased by TPWD, which includes 119 state parks, historic sites, and natural areas. The division also provides planning assistance and administers matching grants to local communities and counties for park acquisition and development, public boat ramps and other facilities, and outreach. In the early years of TPWD the Parks Division also investigated potential land acquisitions for state parks and historic sites, negotiated and prepared contracts for the donation or purchase of land, researched title information, constructed new park facilities and did renovations and repairs in existing facilities. In 1963 the division developed a statewide comprehensive outdoor recreation plan – the Texas Outdoor Recreation Plan. This plan was updated every five years. Master plans for state parks were begun in 1965. During a brief period in the 1990s, the Parks Division was known as the Public Lands Division, whose duties included the management of some wildlife areas in addition to state parks, historic sites, and natural areas. Land acquisition activities are currently handled through the executive office and the Infrastructure Division handles design and construction of new facilities, repairs of existing facilities, and development of TPWD lands. Wildlife areas are managed by the Wildlife Division. The Texas Outdoor Recreation Plan has been incorporated into the more comprehensive Land and Water Resources Conservation and Recreation Plan prepared by the agency. 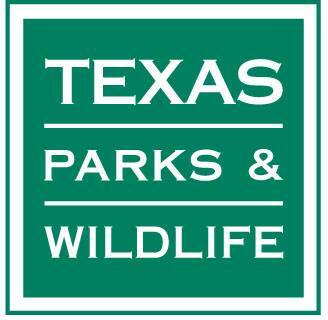 The 77th Legislature (Senate Bill 305, Regular Session) required that Texas Parks and Wildlife Department prepare (to be adopted by the commission) the Land and Water Resources Conservation and Recreation Plan by October 15, 2002. The plan was adopted and the latest version (2015) is on the website of the TPWD (http://tpwd.texas.gov/publications/pwdpubs/media/pwd_pl_e0100_0687_2015.pdf)). The records are organized into 17 series and 53 subseries. Only those divisions represented in the Texas Digital Archive are listed below.